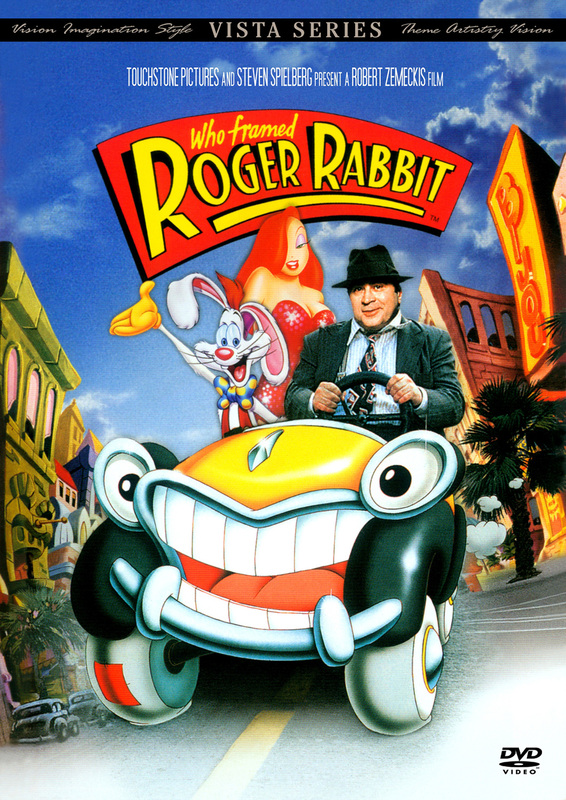 Film: Who Framed Roger Rabbit? Description: The down-on-his-luck private detective Eddie Valiant must come to terms with his hatred of Toons when one of his cases go haywire. It would be easy to think that this movie won out on technical achievement alone: First filmed with all the human actors, followed by every frame of the movie printed out in full color and drawn on with oil paint, resulting in 82,000 frames of completely fluid, classic-looking animation. No computers were used. Fortunately, this movie doesn't stop at the achievements at that, or even the fact that it was a joint effort between several rivalling animation studios (most notably Disney and Warner Bros.) and the efforts of Lucas' Industrial Light and Magic team. No, this movie actually stands as well on its story and the talents of the actors and voice actors involved. Yeah, you can probably tell I love this movie. I wouldn't go as far as to call it my favorite movie of all time (because I don't believe in favorites) but it is very close to that. 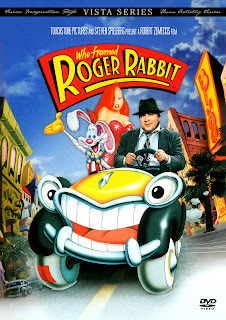 Everyone does a good job in this movie, the animation captures that 40's feel, the brought-in first-timer (at the time) Bob Hoskins shows us some pretty good acting chops, Christopher Lloyd is delightfully creepy and Amy Irving's singing voice as Jessica Rabbit is riveting. The comedic timing is good as well, but at some points in the movie you can tell the animation is off-point. For instance, they used robotic arms and equipment for whenever the animated characters had to interact with the scenery. The most accurate example of something being off-point is early on in the movie when the ballet hippo from Fantasia sits down on a bench and sends the guy sitting on it flying up in the air when it breaks down under her weight. The timing for the bench tipping happens just slightly too late and the joke falls a little flat. It happens a few times when the human actors have to do slapstick, but the funny lines from them are at least delivered perfectly. The mystery in the movie is actually well done as well: Okay, you can pretty much tell who the villain of the movie is from the beginning but the motivation behind his actions are just complicated enough that you don't pick up on them right away (like you would in some of the worse written TV-episodes of Midsomer Murders forexample). Overall, great movie! Loved it.